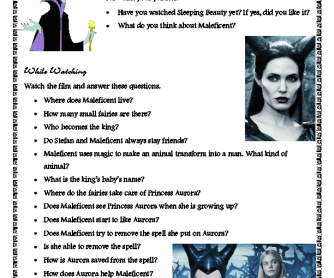 I have designed this PDF based on the movie "Maleficent". It includes three parts: before watching, while watching and after watching. 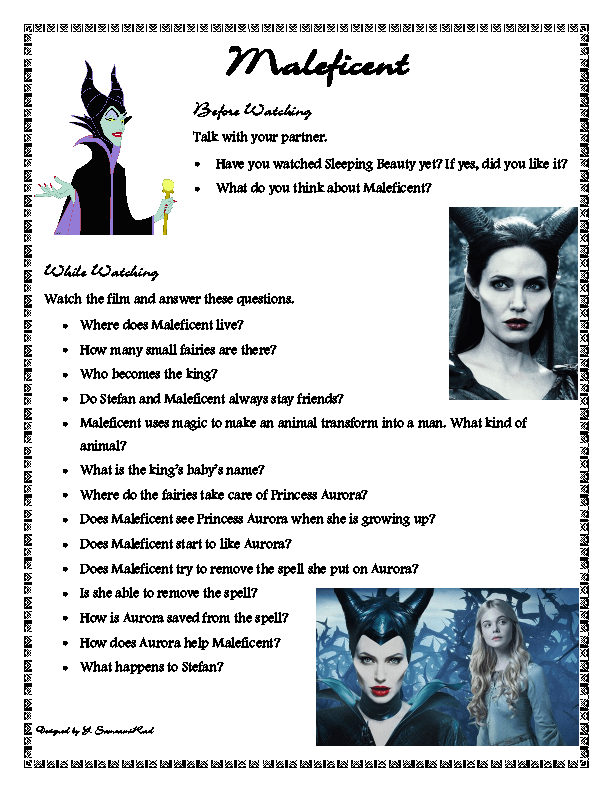 First, have your student talk with their partners about "Sleeping Beauty". Next, ask them to watch the film and answer some questions. Finally, have them draw their favourite scene from the movie and talk about it. It is designed for elementary and pre-intermediate levels. Hope you find it useful.